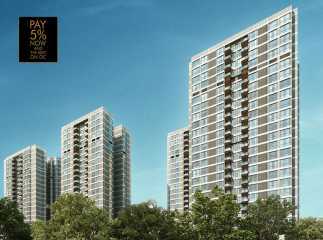 Rustomjee Seasons is a prime property in BKC Annexe Mumbai. Rustomjee Seasons is spread over 4 acres of prime land, and boasts of a number of social and civic amenities in the nearby vicinity. California Pizza Kitchen, Dhirubhai Ambani International School, American School of Bombay Diplomatic hub, is located a stone throw away from the project. It is in the Mumbai’s Central Business District and has head offices of a number of leading global companies. The internal and external amenities in the property are also excellent. The project has a multiplay court with spectator’s bleachers, creative art studio, herb garden, senior's folk’s corner with reflexology court, and much more within the complex. The area is centrally located and is well-connected with the rest of Mumbai and surrounding areas. There has been an increase in demand for projects in BKC Annexe, and investing in the area is expected to give excellent returns.